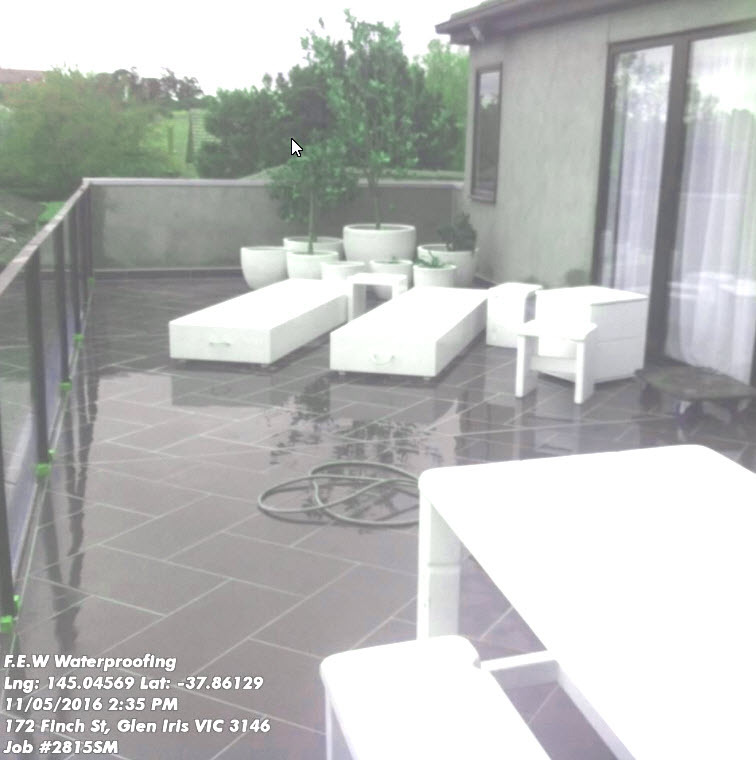 ​​Over the years, our experience has shown that a substantial number of leaking balconies are not always due poor waterproof membranes or installation issues, but rather to do with other factors like tiling, adhesives, and not enough (or even no!) expansions joints. The following is a guide with the intent to offer insights into correct tile installation from the viewpoint of a waterproofer. The Team here at Findlay-Evans hope this information may reduce the possibility of tiling causing balcony water leaks when applied over a waterproof membrane. 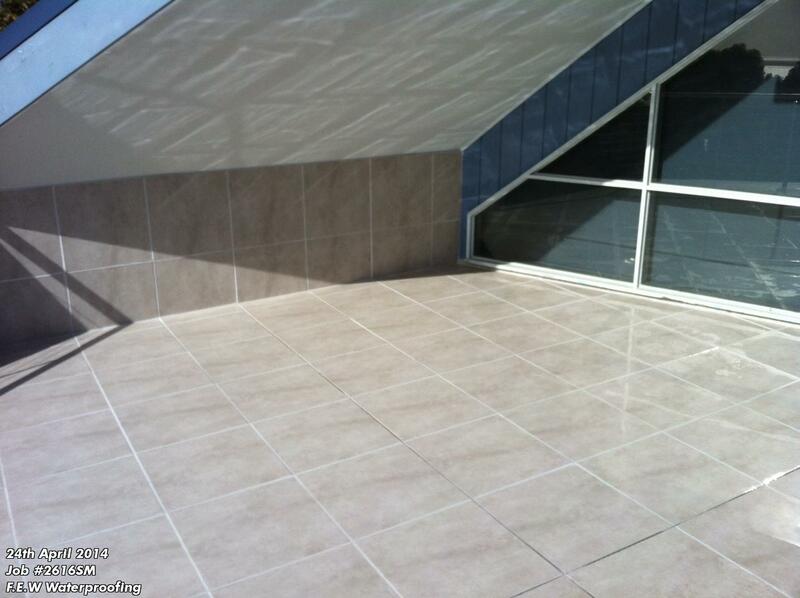 Tiled balconies require a durable solid surface together with correct falls & functionality. Only well-trained and experienced tile installers can produce installations of the highest quality. To source quality-oriented tile installers from amongst substandard trades, consider hiring a proven tiler with references, past projects and knowledge and skills which meet industry standards and best practices. 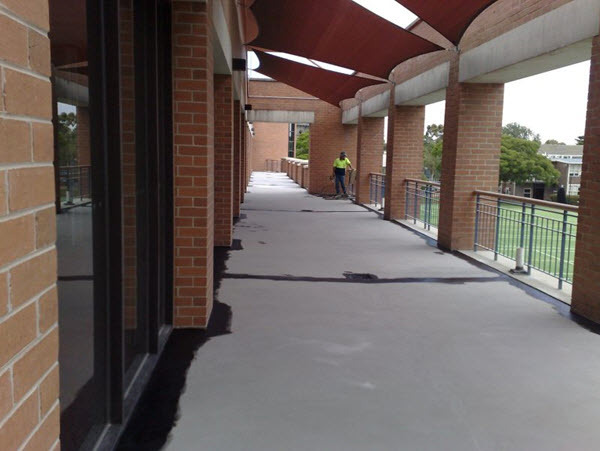 Be certain that all parties involved in the balcony project, including the architect, specifier, designer, waterproofer, tile salesperson and the tile installer know and understand the critical use and placement of expansion joints. All tiled balconies, both residential and commercial structures, will move with temperature and humidity variations. To accommodate for this expansion and contraction activity, the use of expansion joints is a must. The number of joints will vary depending on tile selected and quality of the biscuit (back of tile) and also the ability to resist tile growth from moisture ingress to the tile itself and / or expansion and contraction of tiles in + / - temperature variations. Although the code says 3.0 metre intervals for expansion joints, we strongly urge you to recommend many more expansion joints. 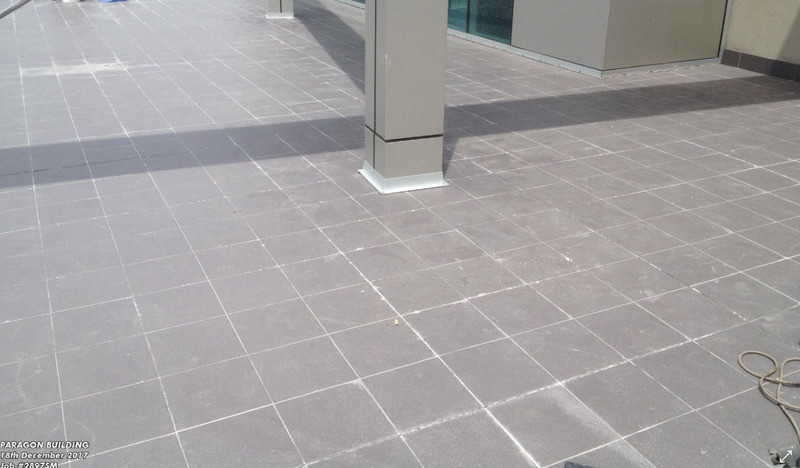 Increasing the number of expansion joints is especially important when tiles are dark colour and/ or a cheaper range of tiles have been selected. Cheap tiles and dark colored tiles “grow” after being laid (moisture absorption into the tile biscuit). 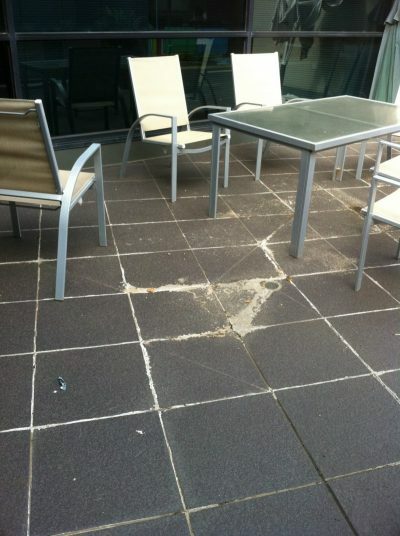 If the minimal, or sometimes even non-existent expansion joints, over time and with movement these will close causing the tiles to lift and pop off/crack, puncturing the membrane by tearing holes in it - and subsequently causing leaks. Failure to set out tiles correctly will most often result in a system failure. This will mostly be caused by expansion of tiles which in turn causes tiles to compress against each other. In the absence or lack of expansion joints, the only release of this tension is to force the tiles upwards - thus tearing the waterproof membrane below and breeching the membrane. This of course this will result in a leaking balcony. 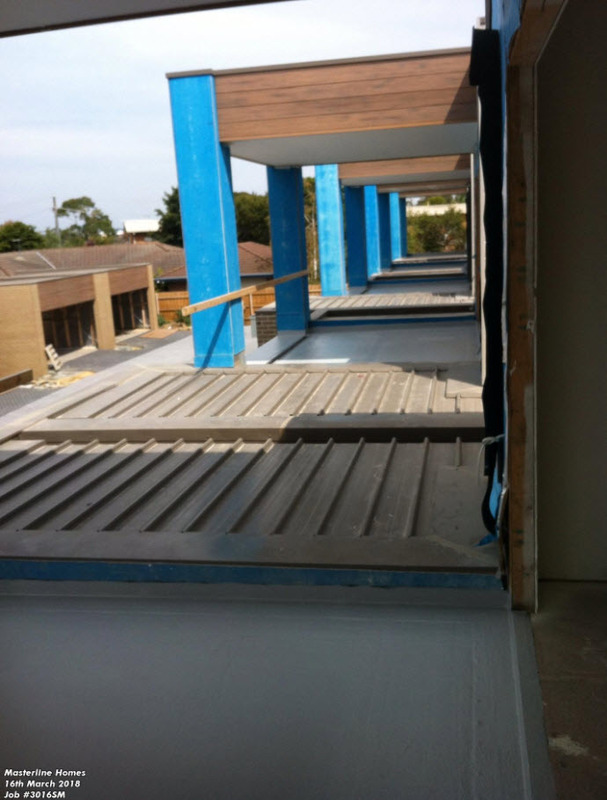 The following information about adhesives and screeds are my own personal views derived from many years of removing faulty balcony work carried out by contractors that continue to install incorrectly. These comments are from personal experience and constant frustration of bad practice. The use of premium quality tile bonding materials is money well spent. Tile Industry experts agree this is one of the easiest insurance policies for preventing installation problems. Various adhesive materials are available in differing performance grades. Contact the adhesive material manufacturer for products with the specific characteristics and performance levels necessary for success. 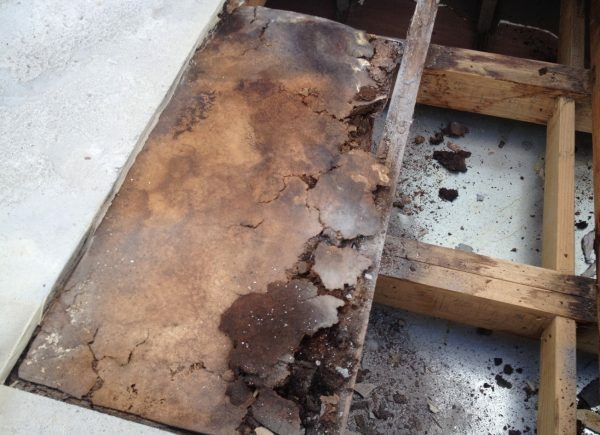 One of the most common failures is using an adhesive that is incorrect for the purpose; such as a balcony subjected to considerable amounts of rainfall and the adhesive is not designed to be submerged in water. This will subsequently break down. When the adhesive breaks down, the tiles will lift and sometimes the adhesive itself will re-emulsify. This shows as white residue leaching out of grout joints. This should not be confused with calcification (salts) leaching out. 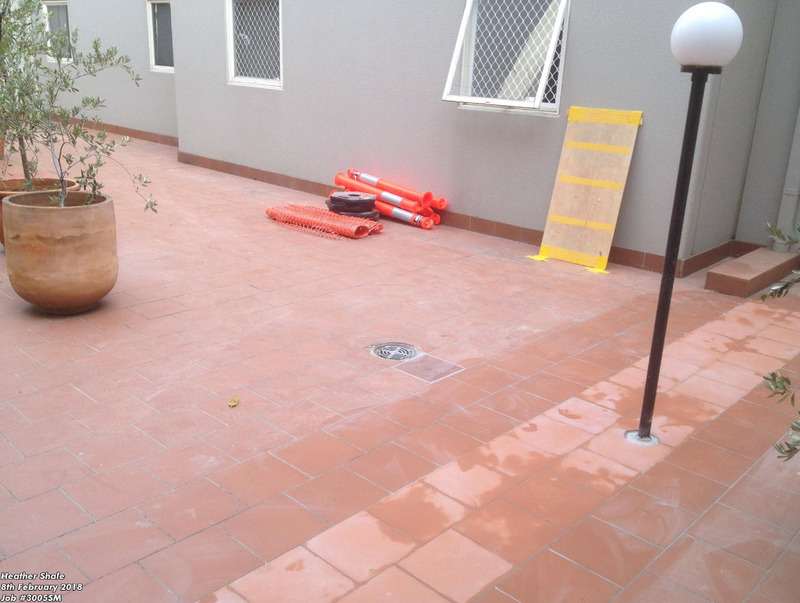 Calcification is caused by water being in constant contact with the concrete slab below; or more commonly a screed on slab where the membrane has been installed under the screed and the tiles fixed to the screed directly. "Efflorescence” occurs only in the presence of water. The problem with this type of method is water will migrate down through grout joints, etc into the cement screed and thus saturating the screed (as the water will not escape on a flat surface). When a screed is allowed to retain water over long periods, the water will react with the salts (minerals) that are naturally in sand/cement. The result is a water borne solution which will leech out & is extremely salty to the taste. Once this solution comes into contact with the air, it will calcify into a very hard salt rich formation (stalactites & stalagmites in a cave are a good example). This can be avoided by installing the membrane on top of the screed which should have adequate falls to run off areas or drainage systems. Salt solution is very corrosive and will damage metallic items within and around a concrete slab i.e such as reinforcing mesh rusting and eventual explosion of concrete as the rust swells. (concrete cancer), metal ducting and conduits, fixtures and fittings, balustrade, etc will all rapidly deteriorate when allowed contact with the solution. To provide level ceramic or stone tile installation; carpenters, masons, concrete installers, and other trades must meet the tile industry standards for flatness tolerances. If substandard surfaces are encountered, these must be corrected before tile installation begins. Otherwise, the finished tile surface will be compromised. Problems are exacerbated when a membrane is laid flat and a screed is applied over the membrane and then tile directly onto screed. This method allows the screed to remain wet over winter months and if this is accompanied by incorrect tile adhesive, the constant moisture will degrade the adhesive - causing bond failure. Ceramic tile installations require a stiff or rigid surface. In some cases, installations, including natural stone, may require additional subflooring, wall studs or bracing. Tile contractors should follow the applicable recommendations, as well as the recommendations of the manufacturer’s products being used in the project. Important Note: substrate for natural stone tile installations must be twice as rigid as that for a ceramic or porcelain tile installation. Tile industry standards require minimum mortar coverage of 80% in dry areas and 95% in wet (showers) or exterior areas. 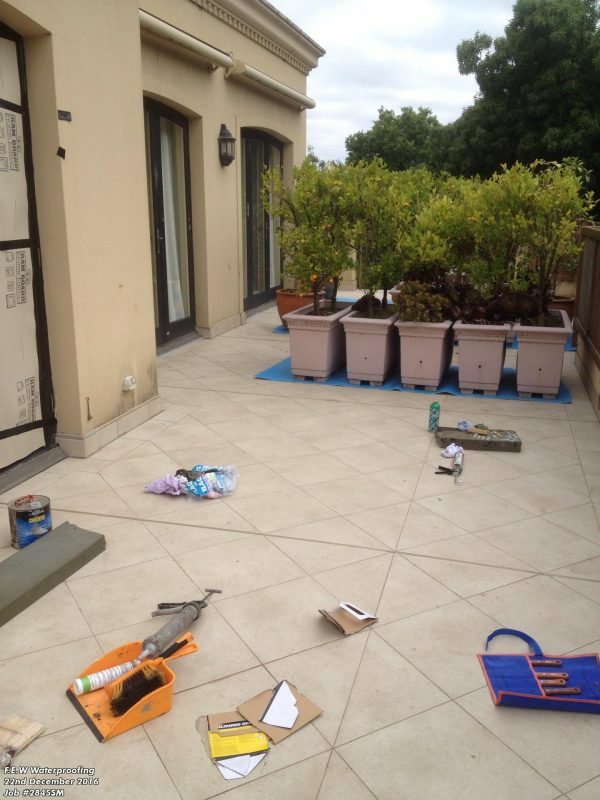 Natural stone tile installations require 95% coverage in all applications. This refers to the contact area of the bonding material (thin-bed mortars, large and heavy tile mortars or epoxy adhesives) with both the back of the tile and the surface being tiled. 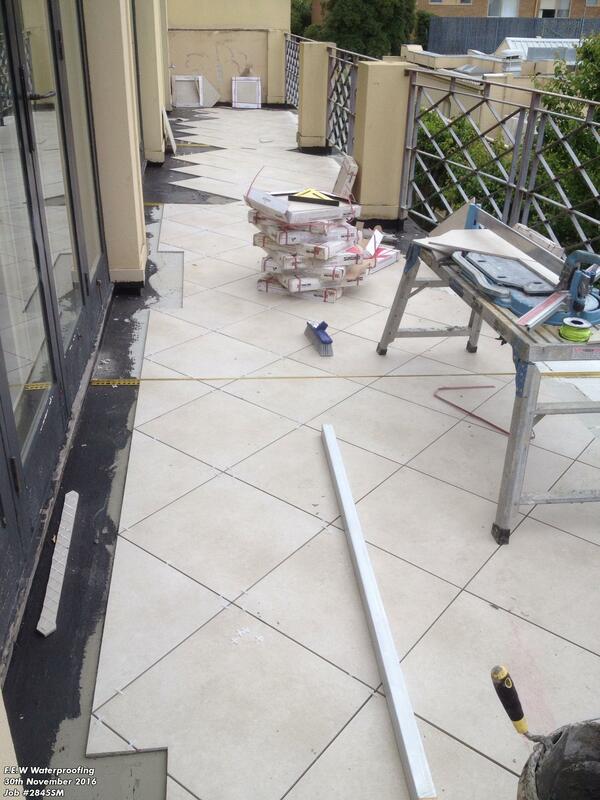 Job site conditions can have a serious impact on the success or failure of a tile installation. Many products used in tile installations require that the temperature be maintained within a specific range and duration. Be certain to follow the manufacturer’s guidelines to ensure a long-lasting installation. Not all installation methods and/or materials are suitable for all applications. Be certain that your contractor will use the National Construction Code (NCC) and Relevant Standards and materials rated for the intended application or a method that is recommended, fully specified, and warranted by the product manufacturer. Research manufacturer’s websites to determine suitability, application recommendations and product warranty information. Review the manufacturer’s product data sheets and recommendations for the tile, substrate, bonding materials, membranes and grout which will be used on the job. Just because a product is available doesn’t mean that it is appropriate for a given installation. Allow a tile installation to cure sufficiently per the manufacturer's recommendations before exposing it to moisture, traffic, temperature changes or overlaying products. Otherwise it will not perform as a quality tile installation. 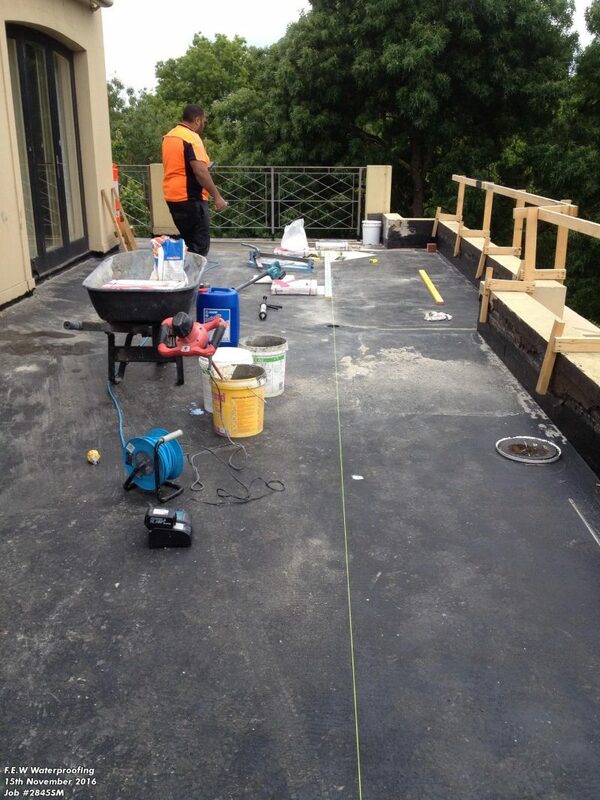 Amount of time required will vary based on site conditions & the specific materials being used. Cracks in concrete and other areas of movement should be treated with a crack isolation membrane to help eliminate cracked tiles. Check with the membrane manufacturer for specific use and application recommendations. Insure tile contractor cleans all grout as part of job. Too many floors are left with a grout haze which has customers scrambling to clean. This should be a major part of the contract. 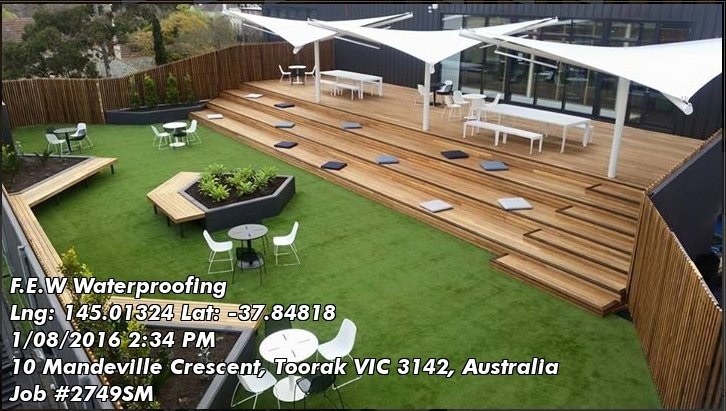 Liquid Applied Membranes are most often our waterproofing product of choice - this is because elastomeric waterproof membranes have many unique properties. 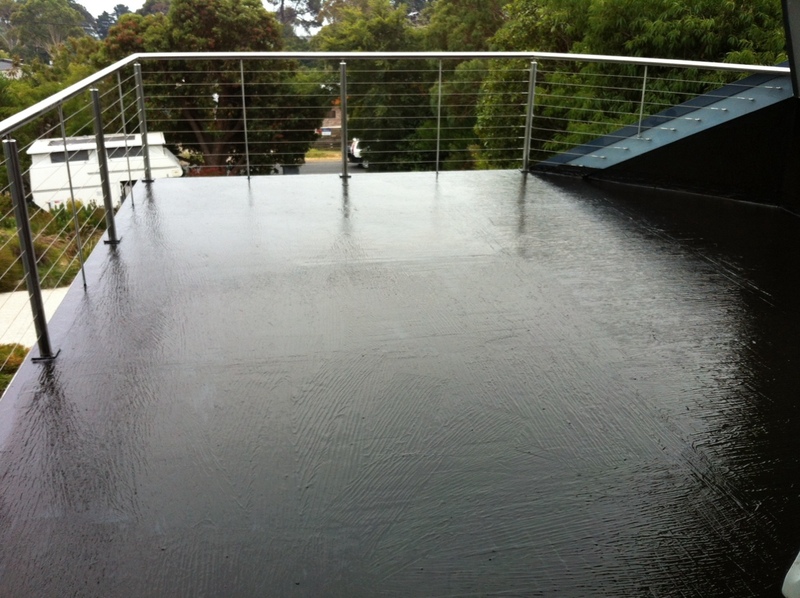 ​​​​​​​​​Liquid Rubber Membranes have many properties that are superior to Traditional Waterproofing Systems. 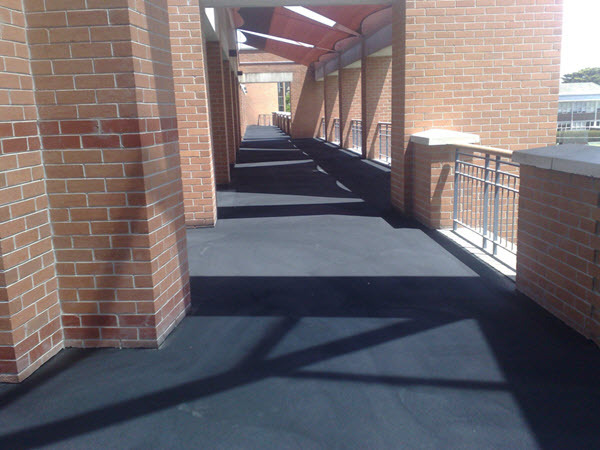 Rapid application - coverage up to 1000m2 a day. ​Extreme flexibility - allows for structural movement. 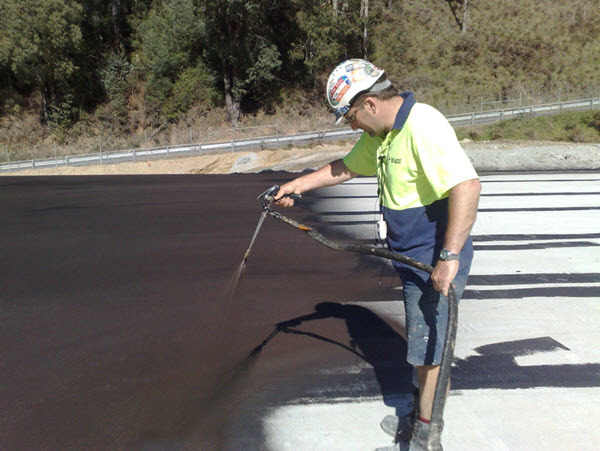 ​Horizontal and Vertical surfaces - mould to shape & around services, penetrations etc. ​No Flames, heat or solvent adhesives used - non toxic, odourless, non-flammable liquid components. 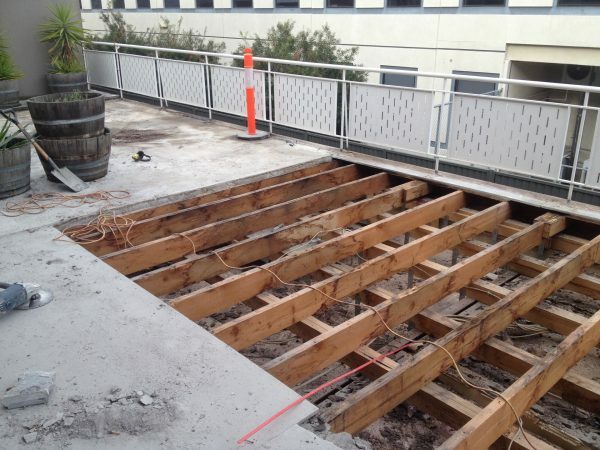 ​Safety & OHS Compliance - No hazard for construction sites, safe for workers & clients during application. 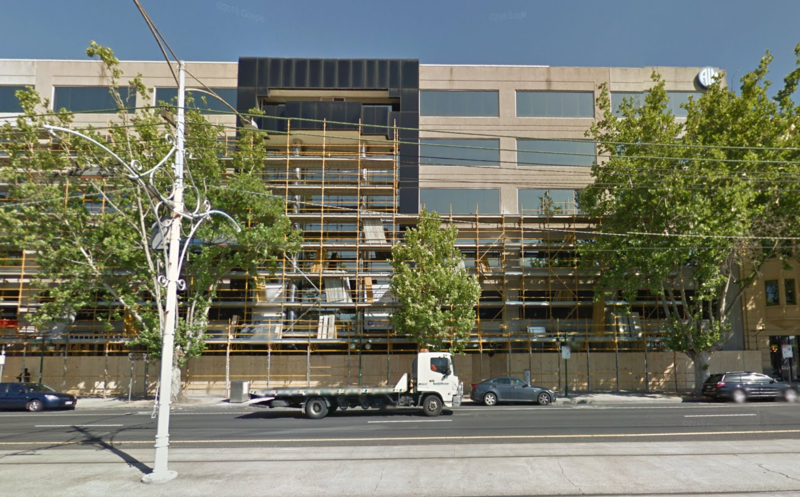 ​Manufacturer & Installer Guarantees - As Registered Building Practitioners under the Victoria Building Authority (VBA) we can offer warranty insurance, full public liability and product insurances.